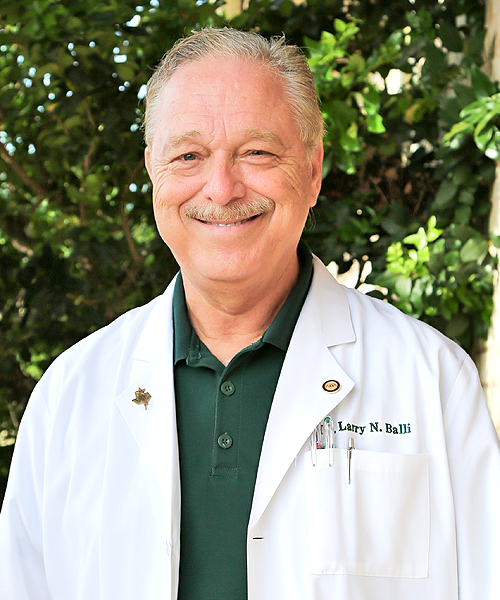 Larry N. Balli D.D.S., a native of Mission Texas and a longtime resident of Edinburg, is an accomplished dentist who has enjoyed a stellar reputation in his community for over 31 years. A graduate of the University of Texas Health Science Center at San Antonio, he approaches dentistry with his vision always in mind, “to educate himself and his patients on how to keep their teeth for a lifetime”. He accomplishes this with a staff that focuses on total patient care through a team concept of “WE CARE”. Dr. Balli has been a member of the American Dental Association, Texas Dental Association, and the Academy of General Dentistry for over 29 years. He is a member and past president of the Local Rio Grande Valley District Dental Society, he is also a past President of Dentists Who Care, a local charitable organization created to help solve the problem of poor dental health in the Rio Grande Valley. Dr. Balli, as part of his life-long dedication to continuously remaining abreast of the latest in dental care, is also an alumni of the prestigious Pankey Institute, a world-class organization where dentists fully immerse themselves in hand-on courses and discussion. Dr.Balli is continuously attending seminars given by the leaders and pioneers of the dental field in order to remain current on the latest techniques and innovations. Dr. Balli is also a licensed Pharmacist in the state of Texas. He practiced pharmacy for 11 years before deciding to return to school to study dentistry. His decision to change was made primarily because of what is one of the most important things in his life, his family. Dr. Balli has been married to Norma Garza Balli, his business partner, for 43 years. He is the proud father of two children Nicole Balli Little, Larry Brandon Balli and Son in Law Patrick David Little. Their three grandchildren, Gabriella Nicole Little, Lilliana Isabelle Little and Brandon Drai Balli are the most recent loves in their lives.